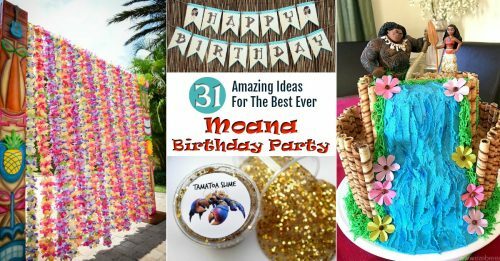 Having a Moana birthday party? 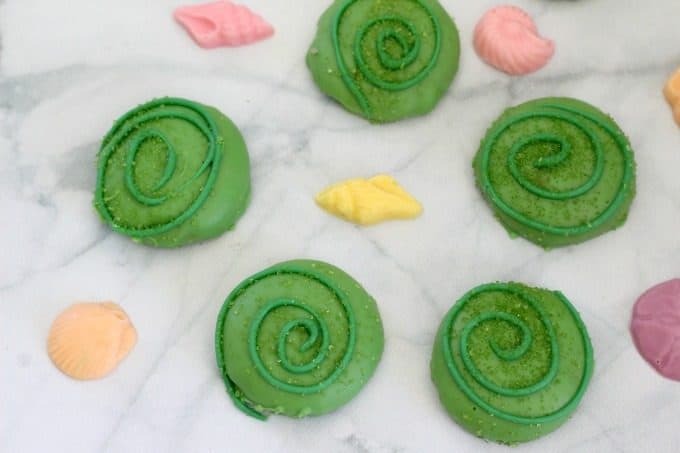 These Heart Of Te Fiti Moana cookies are perfect for your goodie bags. 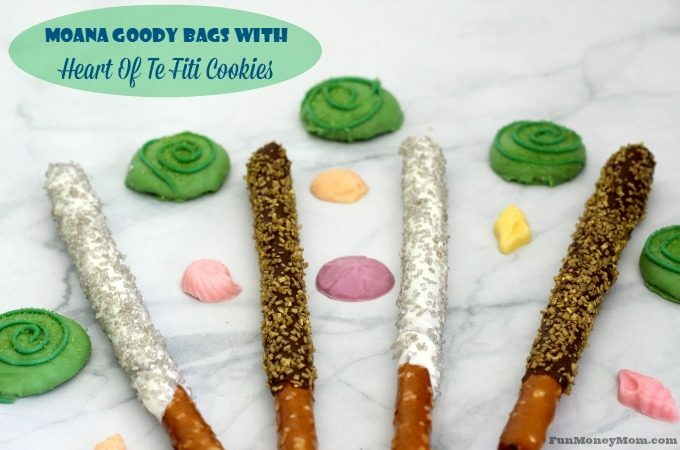 See the video for how to make them, plus find out what other awesome goodies you can include. I have a love/hate relationship with birthday party goodie bags. They’re a cute idea but usually filled with little trinkets that we end up stepping over for a few weeks (unless I get sneaky and toss them sooner). 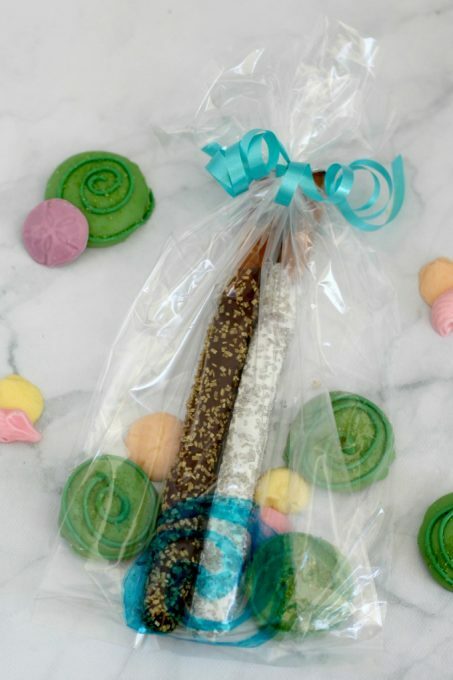 I was guilty of handing out the trinkets too until a few years ago.Then I discovered that edible goodies were so much better for goodie bags. Kids like them because they’re yummy and parents love them because, well, no more trinkets! 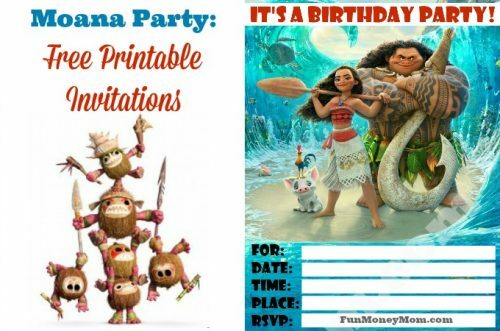 My daughter had been planning a Moana birthday party since it came out and I started with a cute Moana invitation. When it came to the goodie bags, I dug deep into my bag of Disney princess ideas and had the idea for these Heart Of Te Fiti Moana cookies. If you’ve seen the movie, you know that the Heart of Te Fiti plays a huge part and cookies seemed like an obvious choice. I love that they’re so easy to make too! 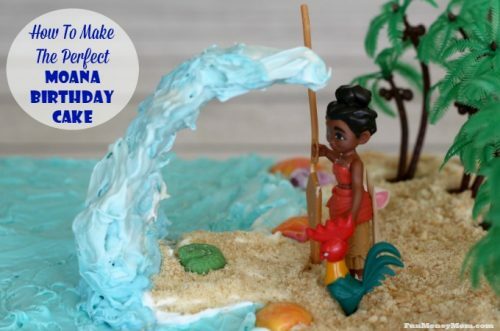 When I was making the Moana birthday cake, I went a little crazy with my candy seashell mold and had quite a few left over. No problem…they went in the goodie bags with the Moana cookies! The Heart of Te Fiti cookies and seashells were cute but the goody bags needed a little something more. 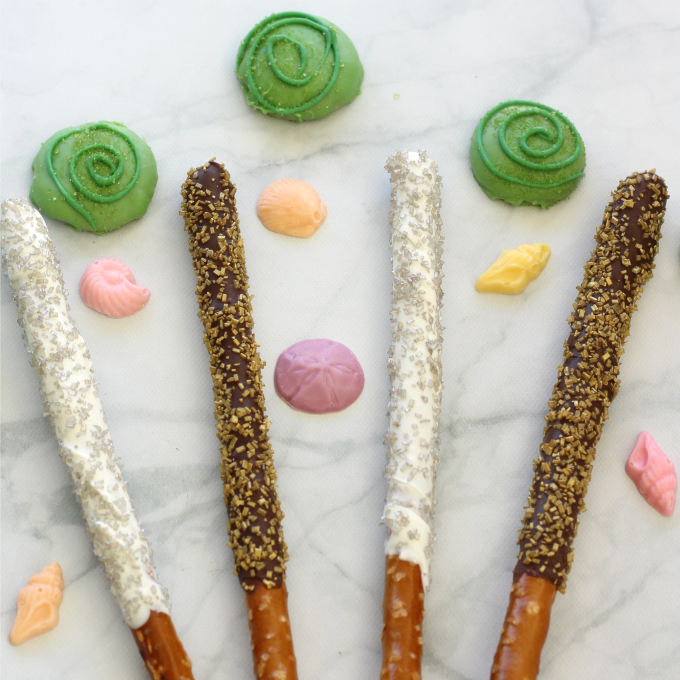 Tamatoa, the villainous crab, loves all things shiny so it seemed only fitting to add chocolate pretzel sticks covered in gold and silver. I went with clear bags since we already have so many and I wanted to use them up. To liven them up, I printed this Moana symbol so I could recreate it on the bags. I just placed it under the bag and traced over it with a blue sharpie. 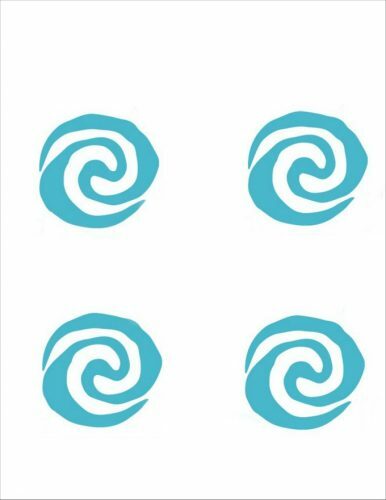 Next time, I may try colored bags because the Moana swirls might show up a little better…maybe light blue with a dark blue symbol. You can print your own symbols by clicking below. There’s four so you can cut them apart and enlist others too help! Now all that’s left to do is to fill the bags with Moana cookies and other sweets. 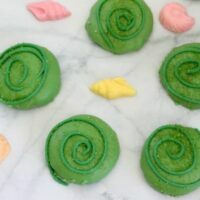 If your kids like Moana, they're going to love these Heart Of Te Fiti cookies! Make them just for fun or add them to some fun birthday goody bags. Are there any goodies that I forgot? 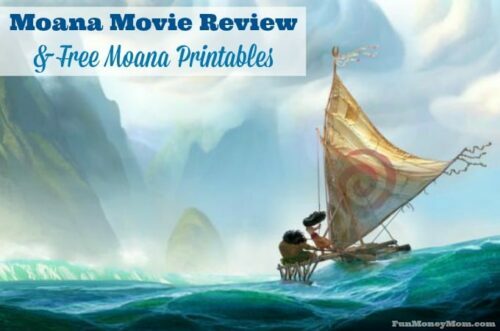 What would you add to these Moana goodie bags?